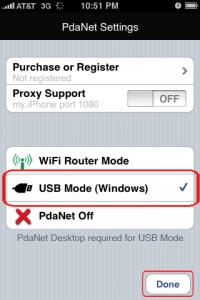 In order to tether your iPhone to your computer via USB, you need to already have the latest version of iTunes installed and you’ll of course need PdaNet installed on your jailbroken iPhone via Cydia. Once that’s done, go over here and grab the latest version of the PdaNet Desktop software. 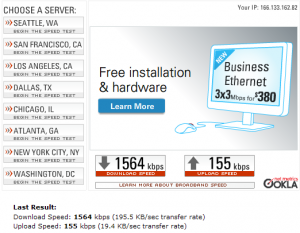 What it will end up doing is creating a dial-up modem that’s linked directly to your iPhone at 3G speeds. 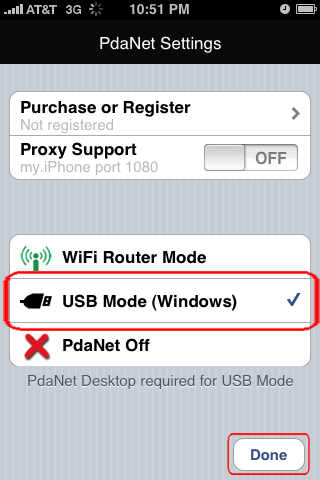 While the desktop software is downloading/installing, go ahead and open up PdaNet on your iPhone, tap "Settings," turn on USB Mode, and then tap "Done." You should then be given a screen telling you to launch the desktop software. 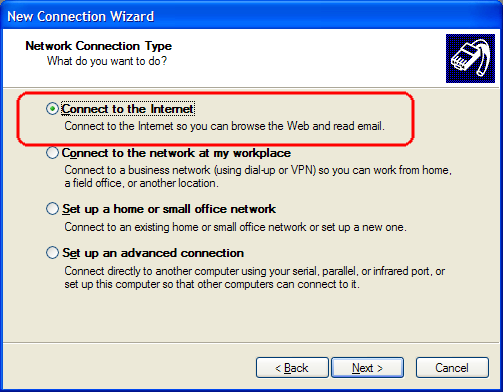 Once you’ve installed the desktop software, go ahead and run it, right-click on the icon it makes in your system tray and hit "Connect." 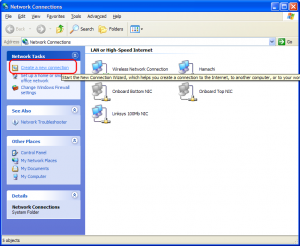 If this works, great, you can skip the rest of this tutorial. 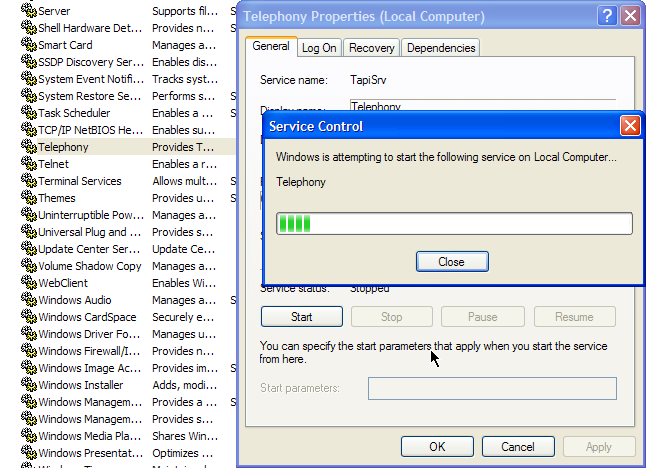 However, if you’re like me and run a pretty lean XP install, you may get the following two errors: "Fail to create dial up entry (err = 711). 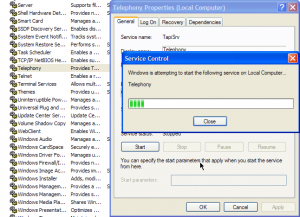 Some services might be turned off on your computer." 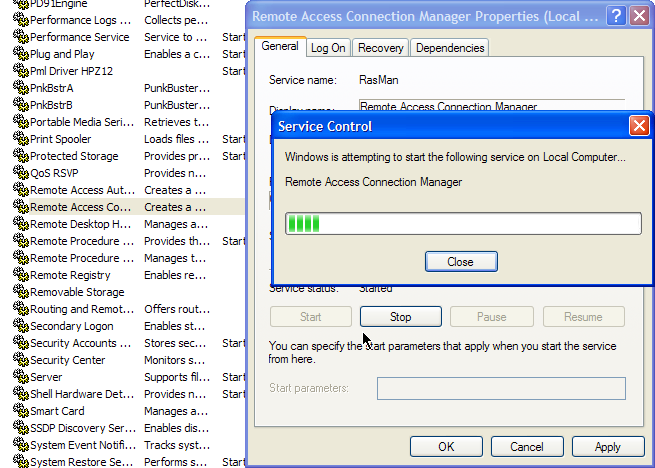 And "Windows Dialup Service was not responding, please restart your PC." 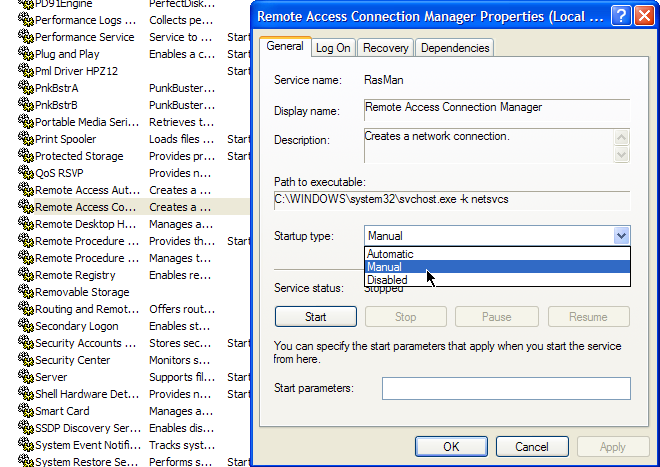 If you get these errors, go ahead and exit out of the PdaNet desktop software and press [Windows Key] + R to bring up a Run dialog. 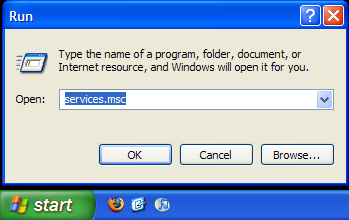 Type in "services.msc". 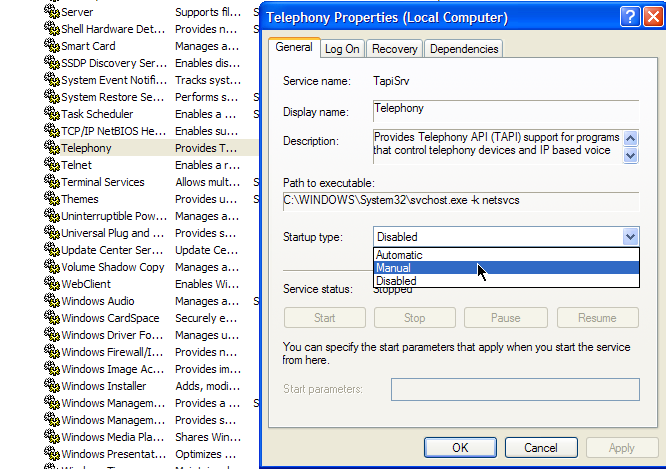 Next up, double-click on the "Telephony" service, set its Startup type to Manual, and Start the service. 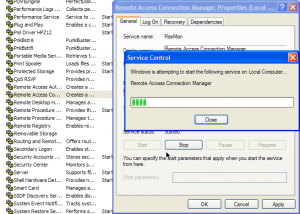 Do the same to the "Remote Access Connection Manager" service. 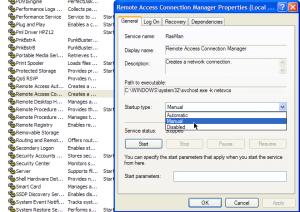 Next up, go into the Control Panel and double-click on Network Connections. 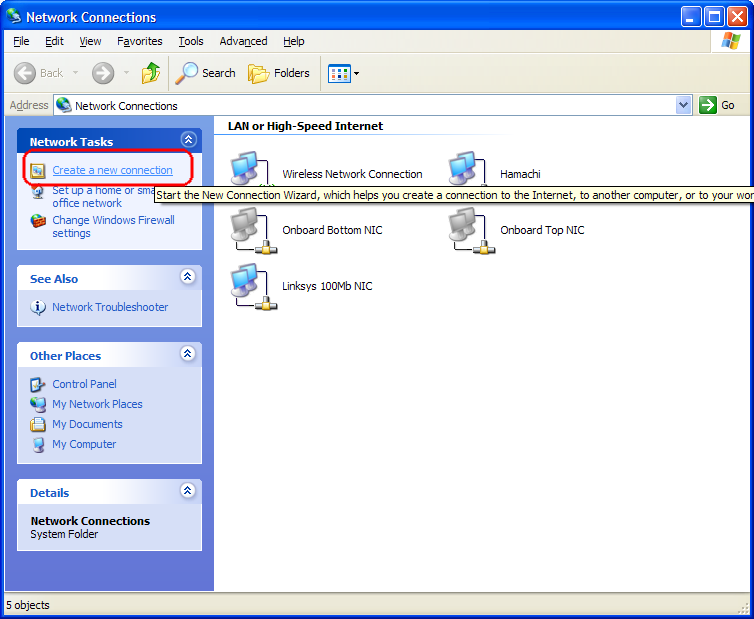 Click on the "Create a New Connection" and click Next at the first screen. 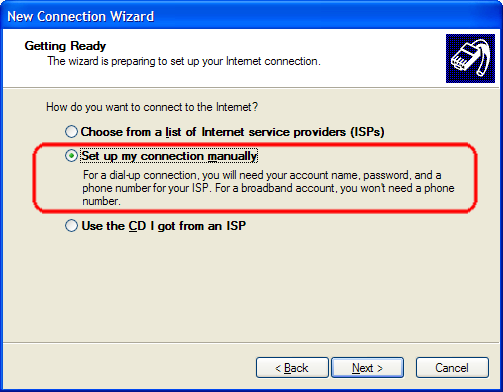 Choose the first option to "Connect to the Internet". We’ll be creating a bogus dial-up connection so that PdaNet can create it’s own to connect to the iPhone. 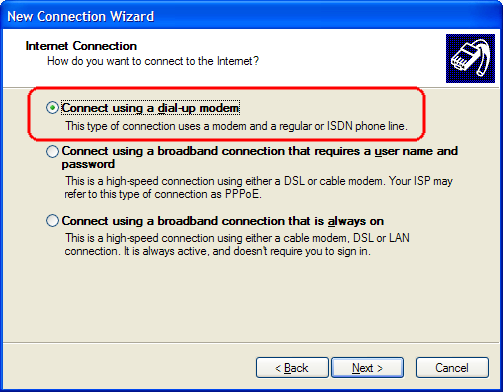 Next up, select "Set up my connection manually" and "Connect using a dial-up modem". 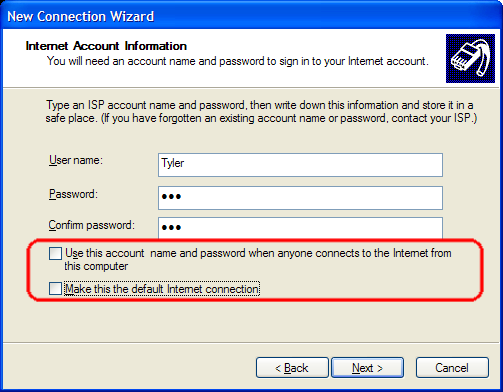 Next, enter in "att" for the ISP name, although it really doesn’t matter what name you give it. Enter in any phone number when prompted. 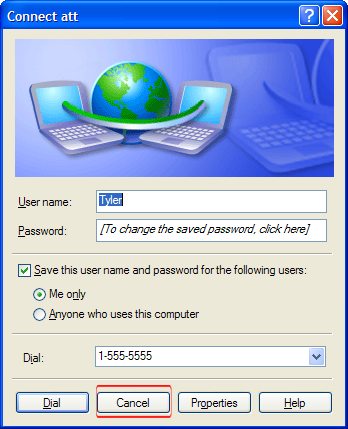 Next, enter in anything for the Username and Password fields, but uncheck both of the options at the bottom. 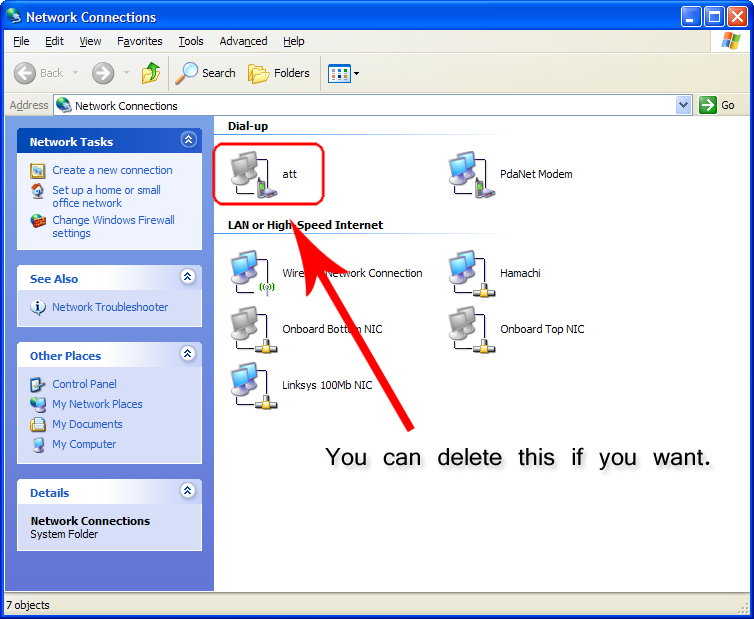 Click Next, Finish, and then cancel out of the connect window. 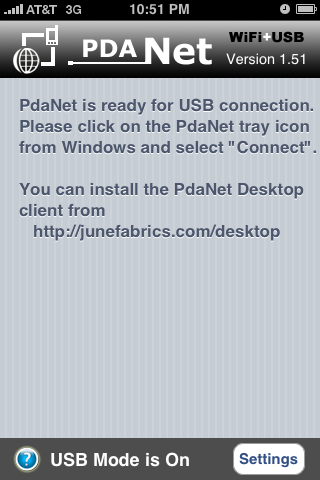 Now launch the PdaNet desktop software, right-click on it, and choose "Connect". With any luck, the program will connect with your iPhone and automatically begin to pipe your iPhone’s internet into your desktop or laptop over the USB connection. You’ll see a ballon-tip telling you the speed it’s connected at and you’ll also see that a new dial-up connection has been created in your Network Connections. 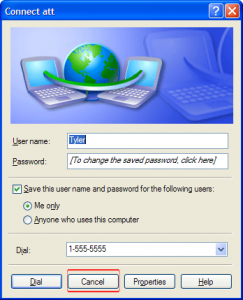 You can delete the bogus dial-up connection now if you wish. Note: Make sure you’re not connected to a Wifi network on your iPhone or else you will be piping the internet from your iPhone’s wifi connection into your desktop. 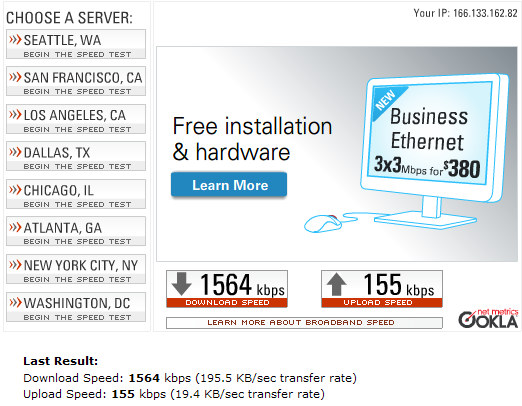 Here are the results of a quick speedtest over my 3G connection at full bars. And that’s all there is to it. 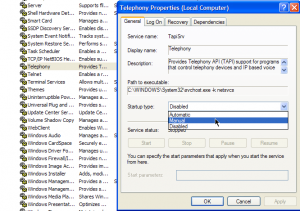 If you already had the Telephony and Remote Access Connection Manager services running, then this tutorial was hopefully quite quick! If you have any questions/comments, feel free to post below.